Here we are another year has yet again come and gone. 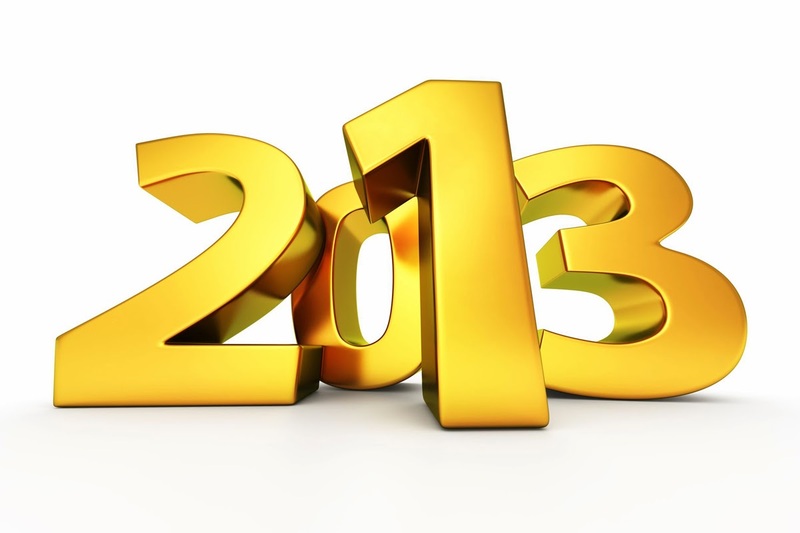 As the hours tick away to the beginning of 2014 I reflect on what was good for 2013. There was a lot that was good but unfortunately there was a lot that was bad. Lots of disappointments this year too as lots of movies and shows just did not deliver up to the expectations and hype. For me the best part of 2013 was the 50th Anniversary of Doctor Who. 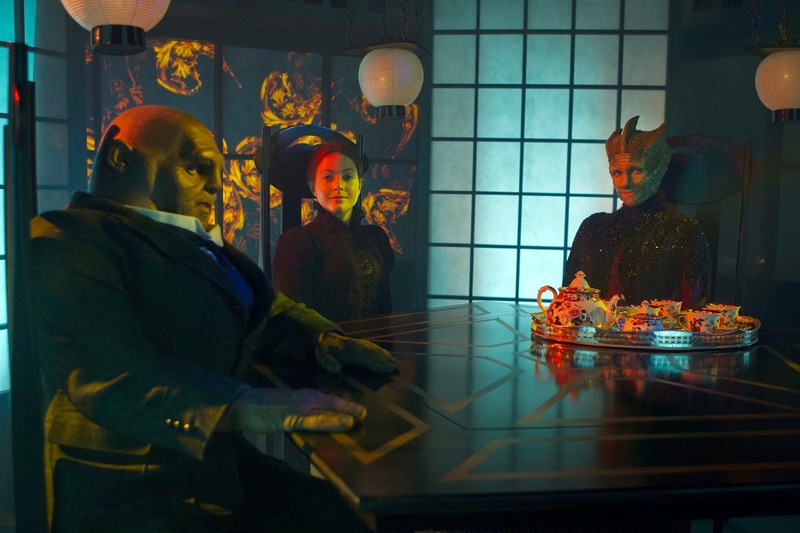 While we had the continuation of Series 7 with the last eight stories the true highlight was the Anniversary celebration. 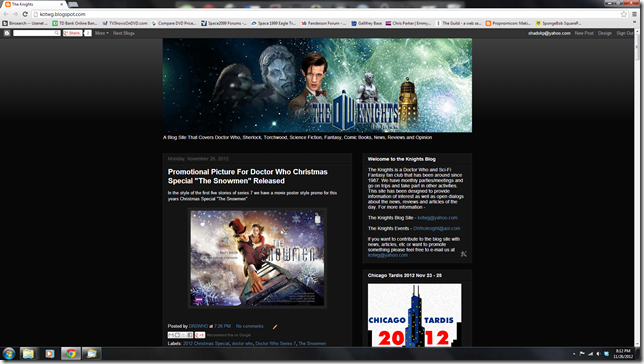 It got a head start with the announcement of two Patrick Troughton stories that had been missing for over forty years. The return of The Enemy of the World and The Web of Fear was an unexpected treat in itself and the fans were able to purchase and watch these stories instantly on iTunes. This was pretty amazing and surreal to be able to watch these as no one really expected that these classic stories would be found. Steven Moffat has been making the rounds and has been suggesting that a change is coming for Doctor Who. Besides the obvious of the new Doctor Peter Capaldi Steven Moffat has suggested that the show tone needs to go in a different direction than what we have all known from the previous series. 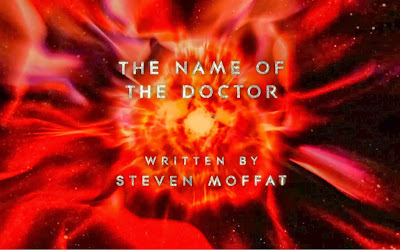 Here is what Steven Moffat has to say about it. "It changes all the time, and it's keeping ahead of the audience in a way. All shows age and they all age sort of in the same way. You learn how to do it, you get really slick at it, and then you think you're really, really slick at it and everyone's started to yawn. And you think 'oh God, we're really slick at this but everyone knows what we're going to do. So now we've got to actually get a bit raw at it and do it in a different direction. It happens on every show – you get good at it and 'good at it' is the enemy in the end." Lets hope the tone of the show changes as the way it is now has gotten a bit stale and a change of direction will be good. My hope is that they return to the Gothic type of stories they did during the first four seasons of Tom Baker. The last comic book day of 2013 gives us a mix bag of stuff as there is not much to choose from. Marvel has some new trades but lots of stuff from the independants. 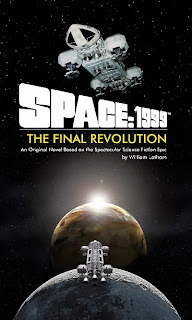 Powys Media is prepping several more Space: 1999 books for release. In addition to the Year One Omnibus which reprints all the Space: 1999 first season novels, there are four original novels planned for release. Powys Media has already produced over 10 original and reprinted Space: 1999 novels. The books of the past have included stories set in between season one and two of the series as well as beyond season 2. "The Whispering Seas", "Black Doves", "The Final Revolution" and "Odysseus Wept" are the planned books for 2014. 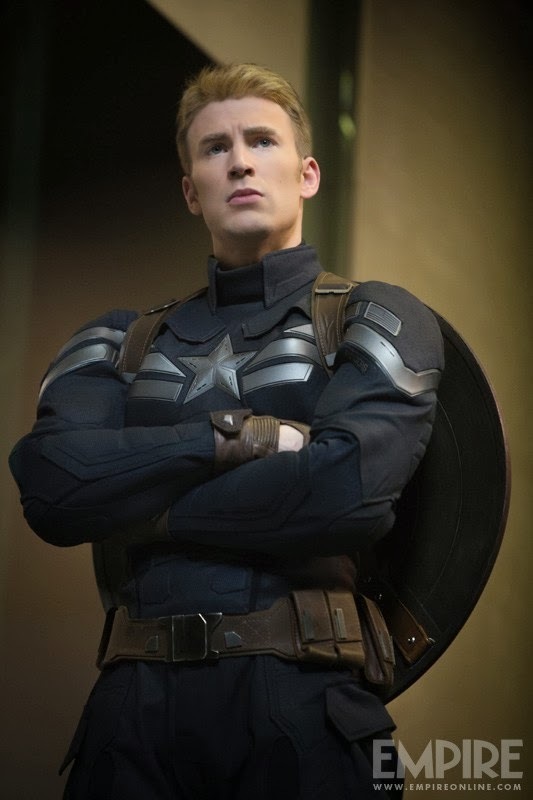 Empire Magazine has a feature on Captain America in the latest magazine and these are two of the pictures I have come across. One is no that exciting but is a nice shot of Captain America but the other is a nice picture of The Winter Soldier and the best detailed one I have seen so far. Here are some new promo pics that were released last week. Of course these were lost in all the hub bub that was Matt Smith's last story and now I am finally catching up on other non Who news. The X-Men vs. The Fantastic Four Movie? 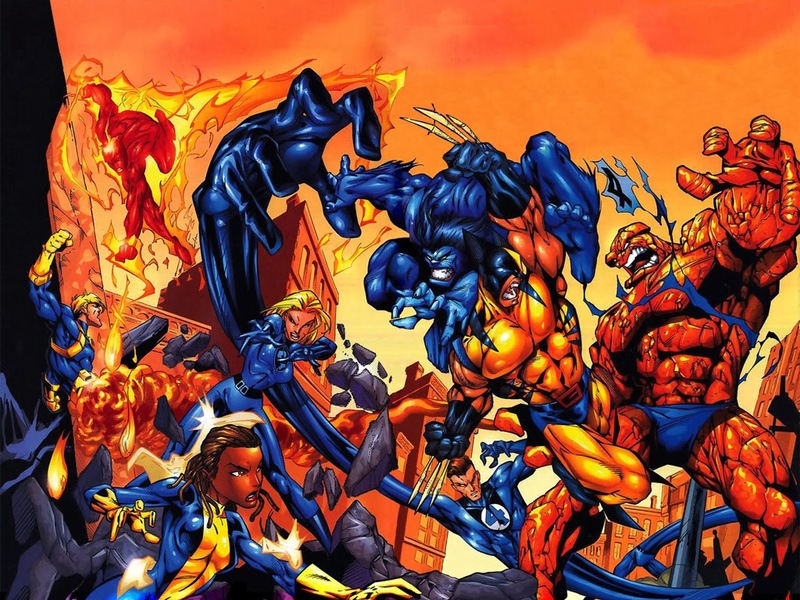 Bleeding Cool reports that Fox is jumping on the superhero overload bandwagon and is planning on bringing two Marvel superhero groups together into one movie franchise. 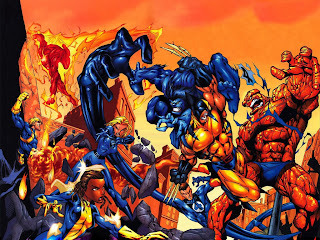 Currently The Fantastic Four is being developed for a reboot and The X-Men is in the middle of a series of movies including Days of Future Past (May 23, 2014) and Apocalypse (2016). The report comes from an investors news piece and is not any official announcement so who knows if it is true. It would seem that superhero movies are starting to become more epic and while DC is looking at combining all their new franchises into a Justice League franchise, Marvel already is sitting pretty with The Avengers and all their upcoming movies. 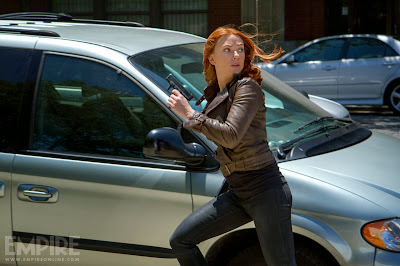 Fox no doubt wants to capitalize with their products which leaves Sony (The Amazing Spiderman) out in the cold but one cannot rule out a team-up of not only superheroes but of film studios to get their biggest bang for their buck. Change My Dear..... And not a moment too soon. This Knights Blog went live April 9, 2011 but its origins started 24 years early with the formation of The Knights of the White Guardian fan club and its newsletter, From Below the Citadel – The Gallifreyan Gazette. That newsletter regenerated several times over the years with its latest incarnation being the blog site in 2011. As with the latest Doctor Who story, once again, we will be regenerating. Our title banner and overall look will comprise the majority of the changes. We are bringing back The Gallifreyan Gazette and changing our appearance to a more traditional newspaper like look. We are also getting rid of our ever changing banner photos and instead including a series of Gallifreyan writing which may actually mean something! We will no doubt tweak things as we go along but we hope you like the changes. Expect the changes to happen over the next few days with some testing and experiments along the way. The web address and most everything will remain the same. I want to thank Christopher Parker for some of the design work. TV - Trailer For "FLEMING: The Man Who Would Be Bond"
Now that the Matt Smith era is over we can do a top ten list of his best stories. There were a lot to choose from and I’m sure some of your favorites did not make the list but hey somebodies favorite is someone’s lest favorite. So here are the stories that I thought were best stories of the three Series of the Matt Smith era. Matt Smith’s time as The Doctor has finally come to an end in a story that takes place yet again on Trenzalore. The Doctor’s greatest battle to defend the people of Christmas from all his greatest enemies all in orbit around the planet waiting to see if he says his name to allow the Time Lords to return. The Time of The Doctor is 2013’s Christmas Special and it is a bitter sweet affair as we say goodbye to Matt Smith as he regenerates and we say hello to Peter Capaldi. The Time of The Doctor is a mix bag. 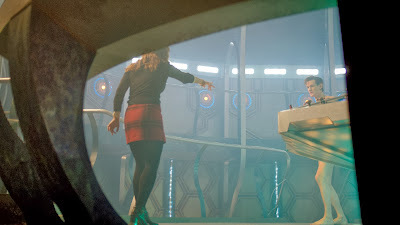 On a whole I did enjoy it but there was a couple of things that got me scratching my head wondering why Steven Moffat felt he needed to add these situations into the story. For one why did they find it necessary to have The Doctor walking around naked? 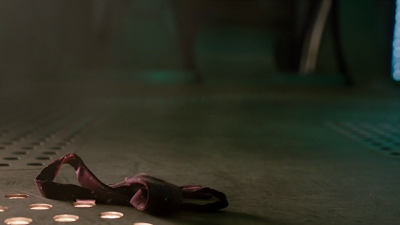 Even when The Doctor used the holographic clothes and then went to meet Clara’s parents for Christmas dinner he was clearly naked and it just made for a really stupid moment. It just seemed so juvenile and doesn’t need to be in a science fiction show. I know the show needs to be light hearted at times but that was just too immature. What’s next fart jokes? Umm well that’s been done already also so moving on. A year ago today Gerry Anderson passed away. His work on TV touched millions. Here is a video tribute I made back in January. I hesitated in watching this episode as I had heard so many negative vibes online ahead of time. I did not want to ruin a great Christmas with another convoluted Moffat mess but I was curious. I know the 'new' Doctor Who has potential of being very good and very bad but hearing that this latest one might be toward the very bad I was nervous for sure. What we ended up with was a bit of every sort of Moffat produced episode with some very bad and very good. 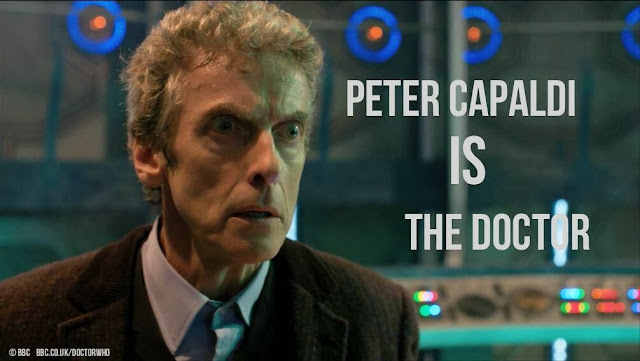 Doctor Who - Peter Capaldi Is The Doctor!!!! Doctor Who - Strax Field Report: The Doctor has Regenerated! The Doctor has had eleven (twelve if you count John Hurt, but let’s not get into all that) faces, the most recent being Matt Smith. 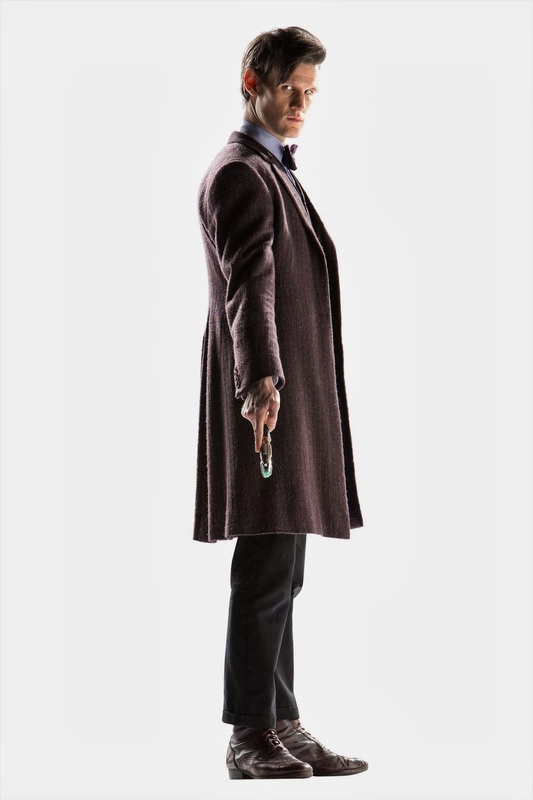 Smith will soon be replaced by the twelfth Doctor, Peter Capaldi but before he departs The Eleventh Doctor will have one final adventure, an adventure that will test his metal. As I write this piece it is raining outside, lashing it down in fact. The Christmas decorations are up and most of the presents are wrapped. 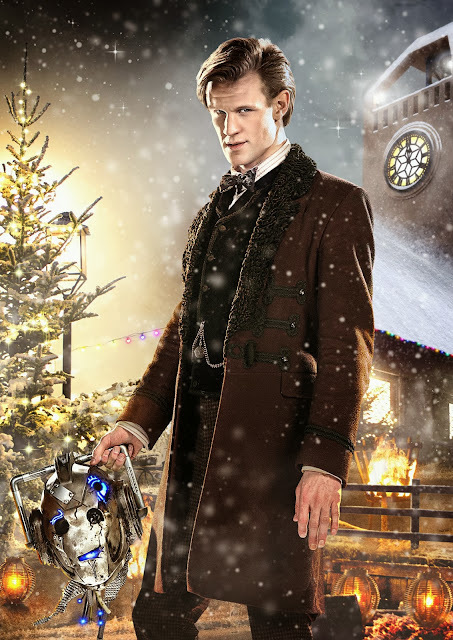 It is ten days until Christmas Eve, the night before the first airing of The Time of The Doctor. 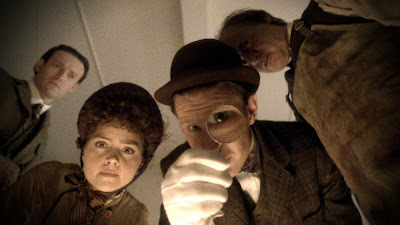 The Eleventh Doctor’s time is up. What an era it has been. 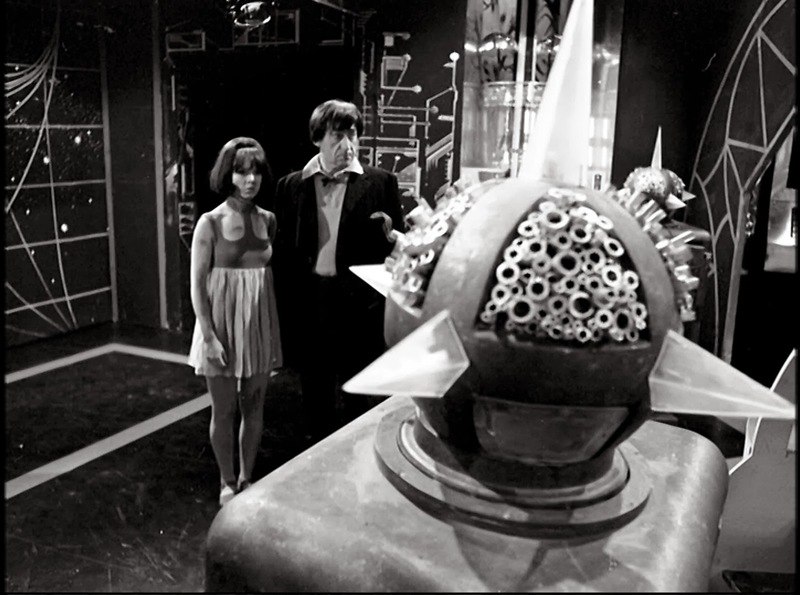 As the 50th Anniversary year comes to an end we come to the traditional Christmas special. 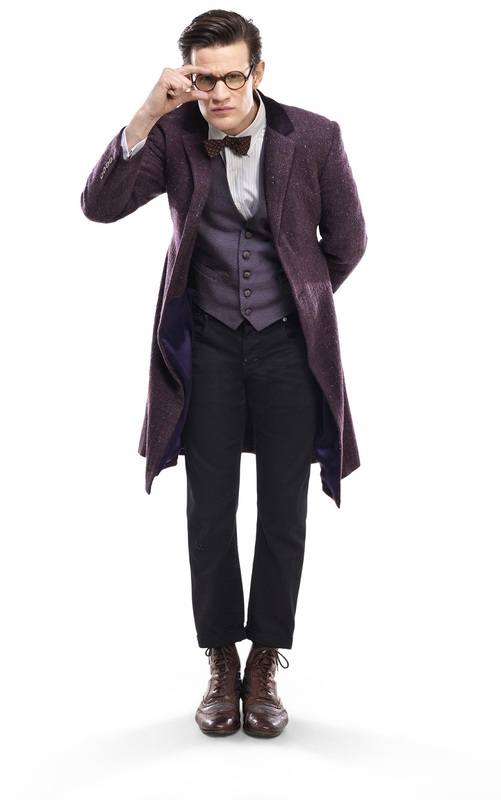 This year it is a special one as we bid farewell to the 11th Doctor Matt Smith. 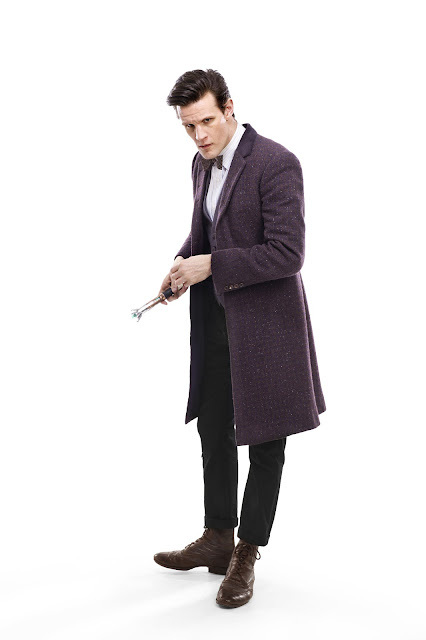 Matt Smith was The Doctor for three series spanning four years. Has it been that long since he took over for David Tennant and will be handing over the baton to Peter Capaldi. 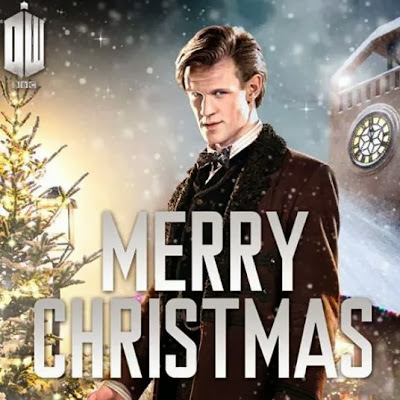 Seems like yesterday when we saw him eat fish fingers and custard and declared ‘Who has the Pandorica.” It all ends on Christmas day when The Doctor returns to Trenzalor. Matt Smith had the dubious honor of taking over for the extremely popular David Tennant. Not an easy task but one that Matt Smith flourished in and was worthy successor and even rivaled David Tennant in popularity. Matt Smith’s Doctor was a madcap one who had a seriousness to him that was hidden with all the charm and childlike innocence that shown out all the time. The closest Doctor he resembles is the Second Doctor Patrick Troughton as there were quite a bit of similarities in their personality. Not surprising as Matt Smith watched The Tomb of the Cybermen as research for his Doctor. From there a Doctor was born and the 11th Doctor as we known him took off and etched his place in Doctor Who lore. Doctor Who - Matt Smith Talks About "The Time of The Doctor"
Its his last story as The Doctor and he is also the last interview to be featured for this years Christmas Special. Matt Smith talks to the BBC Media Centre about his last days as The Doctor and his last adventure The Time of The Doctor. 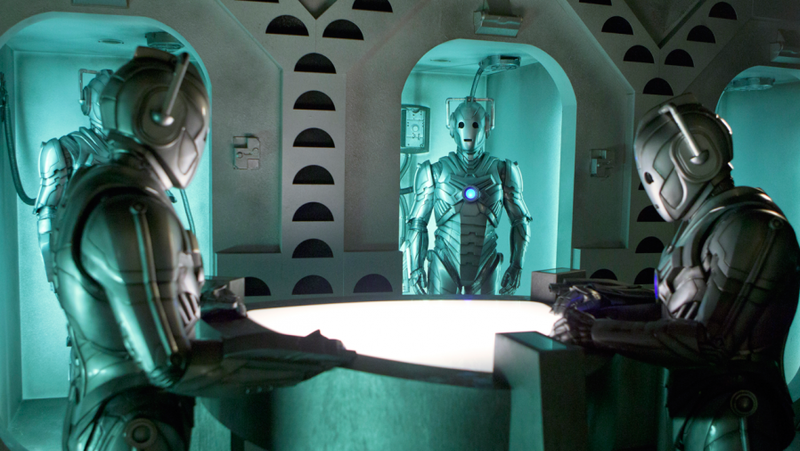 Can you first tell us a little bit about the Christmas special? The Christmas special for me is a bitter sweet episode because I’m leaving, but Steven has written a brilliant, adventurous, funny episode and I’m really thrilled with it. It feels wonderfully Christmassy. What did you want from your last episode? Since new Comic Book day is Christmas this weeks books come out today. Not much to get this week but there is some good stuff to buy. The last time The Doctor regenerated there was not a companion present. The Doctor was all by himself but this time Clara played by Jenna Coleman will be on hand for the momentous occasion and this is the interview for the BBC Media Centre about The Time of The Doctor. How did you find the read-through? Was it emotional? It’s very much an adventure, but it goes off on a different track. People watching will know that it’s Matt’s last episode, but it doesn’t loom over from the start. We were introduced to Clara as the impossible girl last year. Are we going to find out more about her family background? 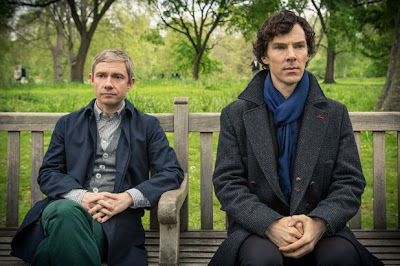 The long anticipated and leaked story, thanks to a BBC America Shop error, of Series 7B finale was one that opened up a big can of worms that gave us plenty to speculate about until November 23rd. The Name of The Doctor takes place at the location where The Doctor should never go. A place called Trenzalore and what mysteries will be revealed there and will they have repercussions to Doctor Who history. 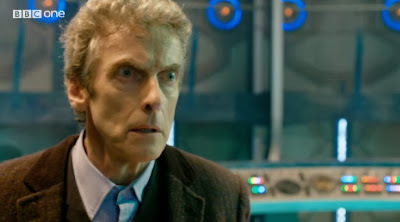 The Name of The Doctor also promises to reveal the secret behind Clara. 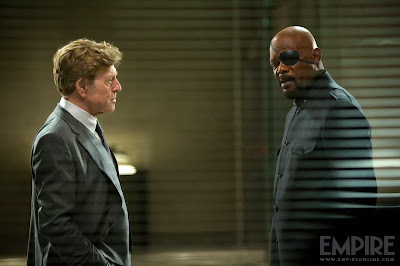 Lots of things going on in this story including a new villain and an old villain we have seen twice before this series. 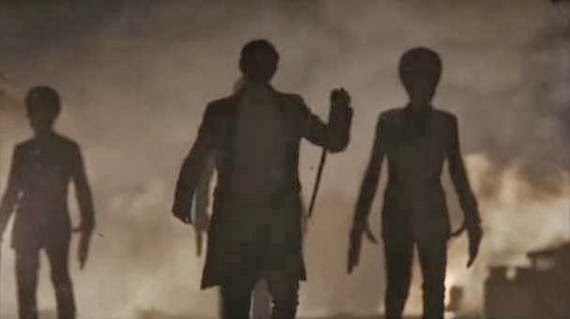 So did The Name of The Doctor give us the goods or was it another disappointing series finale that has been the norm to often with Doctor Who. 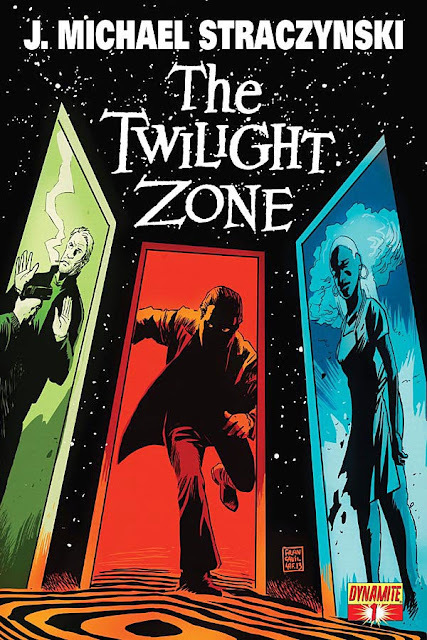 I have to say that this was a pretty good series finale for the 7th series and one of the best since its return in 2005. Usually they have been let downs and haven’t lived up to the hype surrounding them. They usually refer to cheap theatrics that don’t have anything to do with the story at all like Dalek Caan saying one will die when no one did. The title to this story is also a ploy to get people to watch and speculate either happily or angrily at what The Doctor’s name could be or if Steven Moffat will actually reveal what it is. Thankfully that is still a secret but the name is heavily featured and does take on some importance in the closing minutes. It is the week of Christmas and Matt Smith will soon be The Doctor no longer. The BBC Media Centre has an interview up with the man who actually does the deed and kills off Matt Smith's Doctor. Steven Moffat talks about the Christmas Special and beyond. Can you set the scene for this Christmas episode? It’s his final battle and he’s been fighting it for a while. 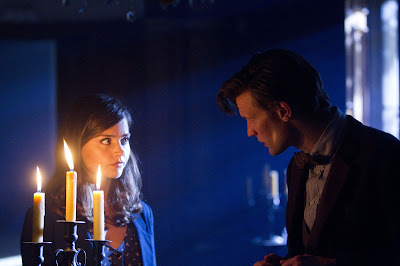 The Doctor is facing the joint challenge of a mysterious event in space that has summoned lots of aliens to one place and helping Clara cook Christmas dinner. There are also elements from every series of Matt’s Doctor, which will come to a head in this special. Things that we’ve laid down for years are going to be paid off. It was emotional. I think possibly the beginning of the end is more emotional than the actual end. It was the same with The Angels Take Manhattan, when Karen and Arthur left. The read-throughs are the moments that tend to get people because obviously the shoot dissolves into what we hope will be a tremendously exciting wrap party. Did you know what you wanted Matt’s last words to be? The Radio Times has an article stating that the two missing Doctor Who stories that were recovered and released on iTunes in October might be getting an airing on BBC 4 in 2014. The Enemy of the World and The Web of Fear which was found in Africa by Philip Morris has been the jewel find of 2013 and the BBC have the right and desire to air these two stories on television. It is not yet known if they intend to air the recon for episode three of The Web of Fear but I would imagine they would instead of showing the story incomplete. If the BBC are successful in getting the stories aired it would be the first time they were aired on tv in 47 and 46 years. In another of those secrets that wasn't really a secret Marvel confirmed the news that most everyone knew already. 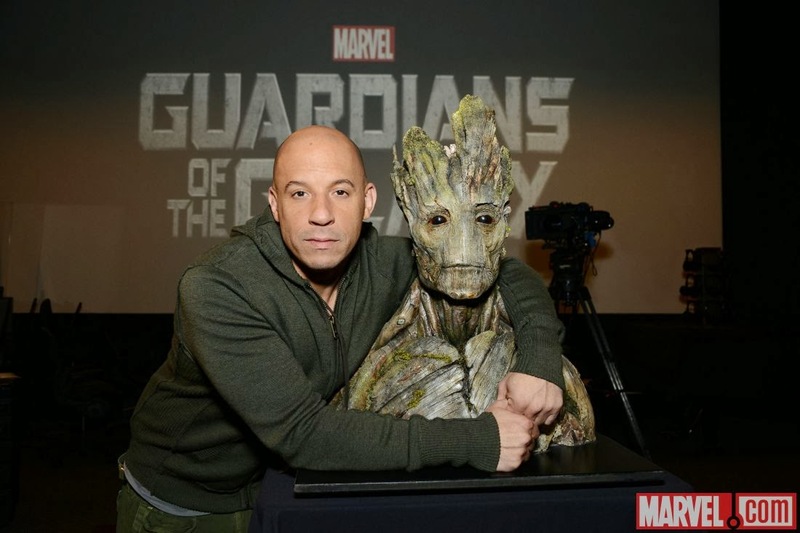 Vin Diesel of Fast and Furious fame has been tapped to be the voice of Groot for the upcoming Guardians of the Galaxy movie. The movie will be out August 1st 2014. 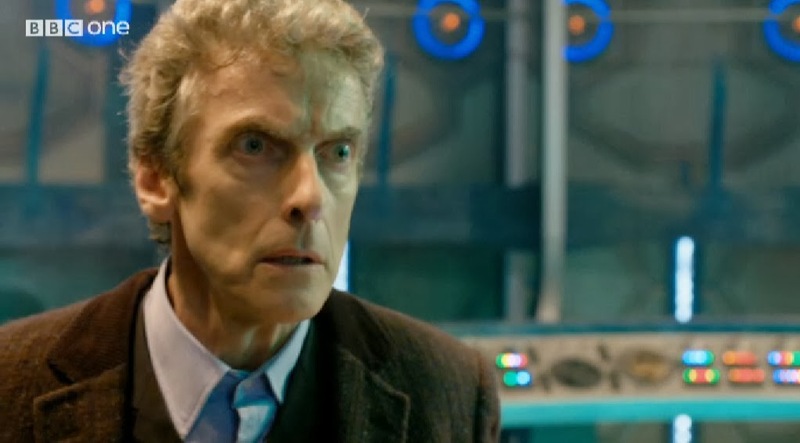 Here is another preview clip of The Time of The Doctor. Watch it at your own risk but if you love spoilers go ahead and watch it. Initial Thoughts – Like this show but did I really want to invest in yet another world of horror and fantasy? 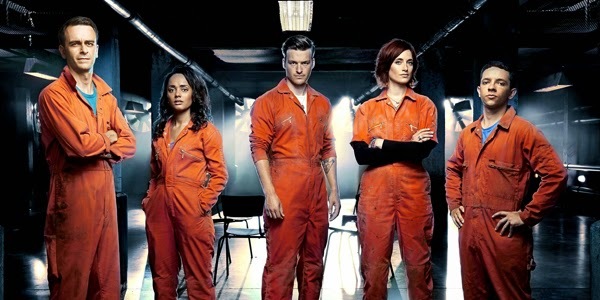 I Like this show and at times it is repetitive but it does enough right to keep me watching. This season appeared to have a couple of differences that do appear to be working. The cast of people in the know has grown quite a bit and beside the Adalind story line, everything seems to be working well. 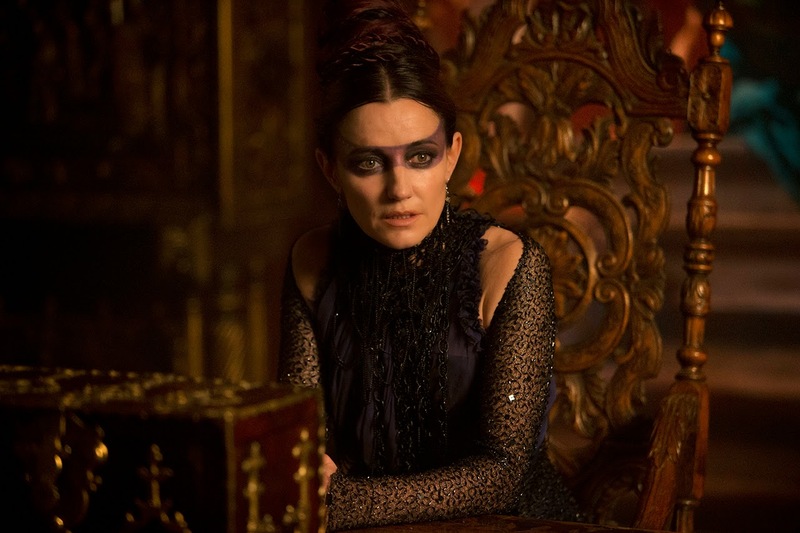 Doctor Who - Orla Brady Talks About "The Time of The Doctor"
Its that time when interviews are galore for the Doctor Who Christmas Special. 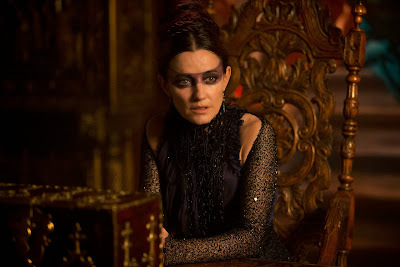 The BBC Media Centre has a bunch of interviews and we start it off with guest star Orla Brady who plays Tasha Lem. The Time of The Doctor airs on Christmas Day. What drew you to the role of Tasha Lem? So you're sitting in your dressing room on an ordinary day (well ordinary for an actress) playing a normal person who makes breakfast and loses her purse sometimes. Then along comes a call to play a galactic nun and whizz around the universe with Matt Smith. Now what girl wouldn't be drawn to that? Can you tell us anything about how we first meet your character? Once it was announced that Neil Gaiman was going to write another episode for Doctor Who I was happy at the news and couldn’t wait to see it. Now when it was announced that his story was going to feature The Cybermen, well, I was even more eager to see that episode and when the airdate was announced I circled it on the calendar. 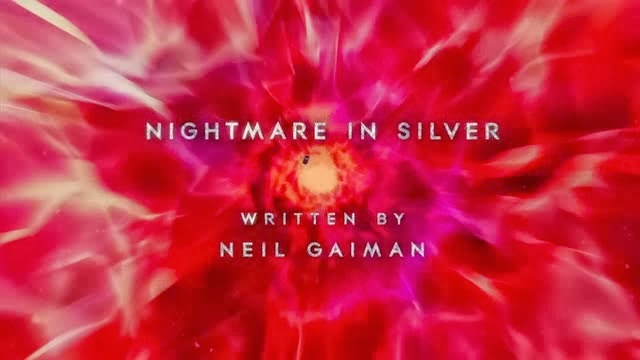 Now you see The Cybermen are my favorite villains in Doctor Who and the prospect of seeing them getting a new take by Neil Gaiman filled me with delight that hopefully The Cybermen will be given justice and done right. 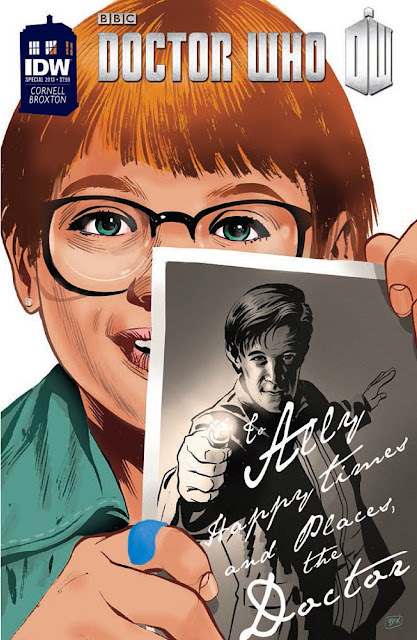 Now everyone loves The Doctor’s Wife and it was such a wonderful story and one of the best in the Matt Smith era so the expectations are high this time around for Neil Gaiman. So will Nightmare In Silver be heralded as one of the best Cybermen stories like Earthshock or will it be really lousy like Silver Nemesis. Read on to see what I thought. 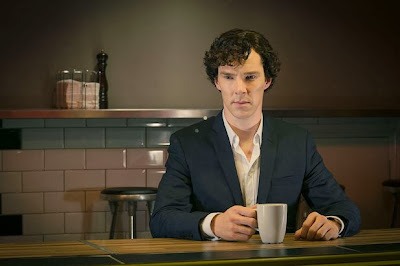 Today it is Benedict Cumberbatch's turn to talk about Sherlock Series Three. 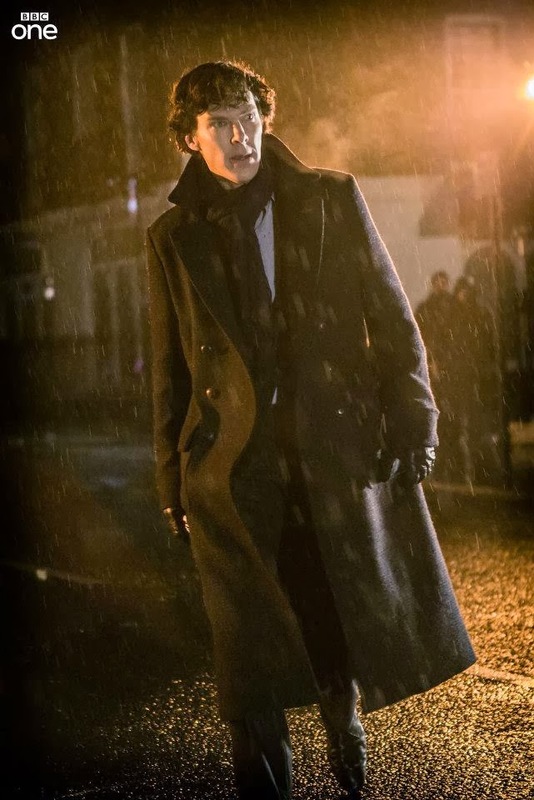 Sherlocks return will soon be here and don't forget the special mini episode on Christmas Day. It’s always a kind of cold-faced thrill because you get the first enjoyment of it. It’s like being the first audience of the finished product, so it was a real treat. We knew what the rough trajectory was over the three films, but when you get the full script it’s just a delight. The first thing I go to is the big scenes, and every one of those scripts is a terrific read. It’s such a joy to read them for the first time – you get that thrill that hopefully the audience will get when they sit down and watch it. "My people once ruled this world, as well you know, but we did not rule it alone. Just as humanity fights a daily battle against nature, so did we. And our greatest plague, the most virulent enemy, was the repulsive red leech." Well there isn’t much I can say about this story except I wanted to like it and it started off good but it just went south pretty quickly and it all started when Matt Smith appeared on screen. Let me explain. Everything was actually pretty good with Jenny working undercover in Sweetville looking for The Doctor. 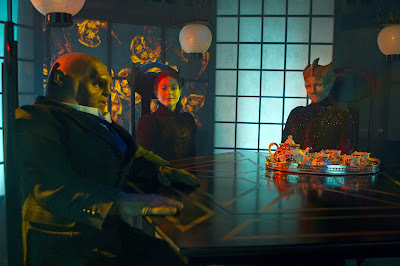 Madame Vastra had a case from Mr. Thursday whose brother had died in Sweetville and the photo they took from his eye was of The Doctor. Initial Thoughts – My initial thoughts on Person of Interest back before season 1 aired was that this was basically an Equalizer clone. This is not a bad thing but depending on how it went, would depend on if I would continue to watch it. Very soon it was obvious that the series is more sci-fi than I thought and was so important as it is all about privacy, identities and personal freedoms. A machine that can scan and predict future actions is not that sci-fi for our today's society. This show soon became one of my favorites and this season has promoted it to my favorite. 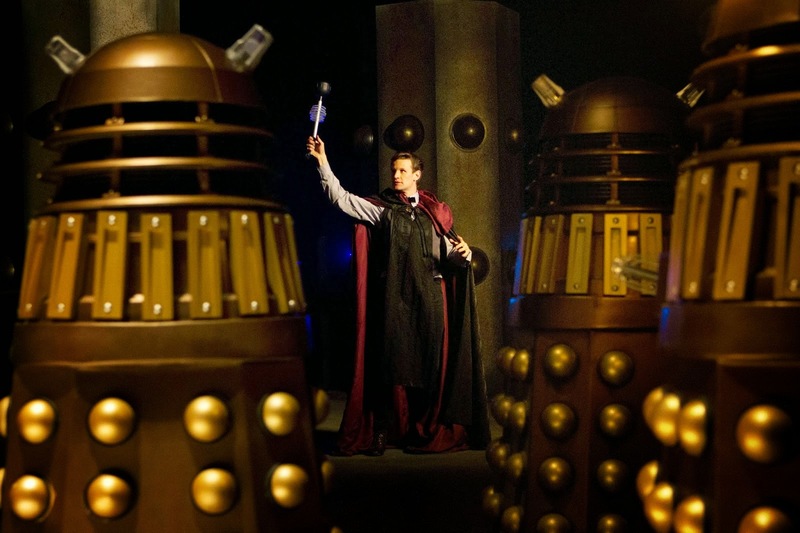 So far we are half way through the remaining eight stories of Series 7 and so far it has been a mixed batch. There was one I loved in Cold War and one I detest in The RIngs of Akhaten while The Bells of Saint John and Hide entertained me and for the most part I enjoyed. So now we have Sherlock scribe Steven Thompson’s turn with Journey to the Centre of the TARDIS. Will this story be on the positive side or will I deduce that it isn’t very good at. I’m on the case and read on to see my findings. 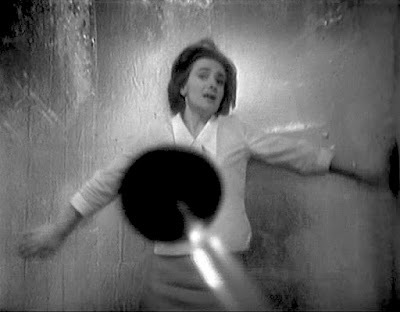 Steven Thompson has written some of my favorite Sherlock stories especially “The Reichenbach Fall” but his first foray into Doctor Who “The Curse of the Black Spot” wasn’t really all that good as the ending was kind of lame and really unbelievable even for Doctor Who. So after reading the synopsis and seeing the trailer for Journey to the Centre of the TARDIS I was filled with some excitement as this looked really good and very ambitious. 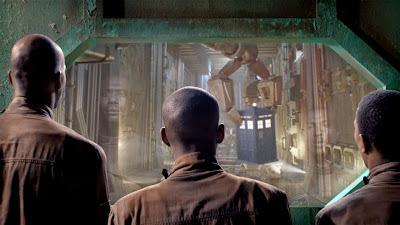 I was pretty interested to see something that hasn’t been done before since the show came back in fact something that hasn’t been done in Doctor Who before. 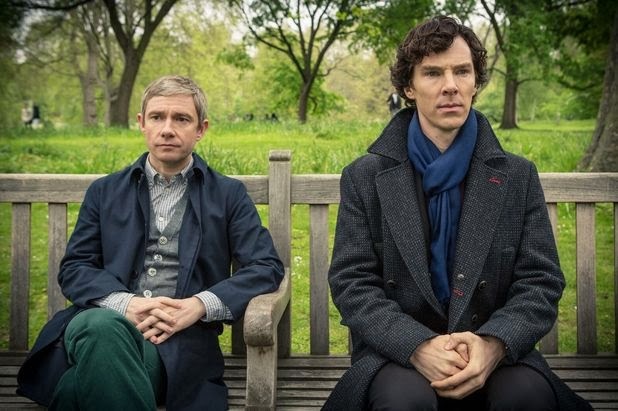 It's Martin Freemans turn to spill the beans on the upcoming three epsidode series three of Sherlock. But don't expect him to reveal all. 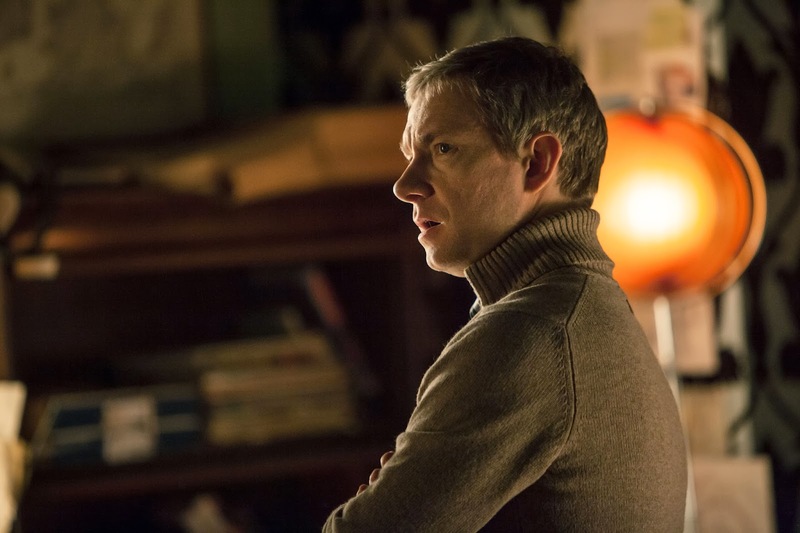 An interview with Martin Freeman, who plays John Watson in BBC One's Sherlock. It was good – it had a kind of familiarity about it, we had new people joining which was lovely. Given that it was our third time, or fourth including the pilot, it just feels nice and familiar. It’s always exciting because the scripts are so good. Two years have passed since Sherlock faked his death. How do you think this has affected John and how has be moved on? 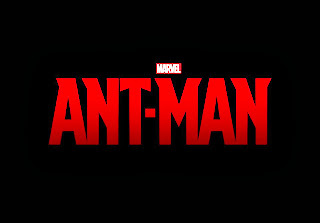 Marvel Entertainment finally confirmed what everyone knew already that Paul Rudd has been tapped to play Ant - Man but which one? 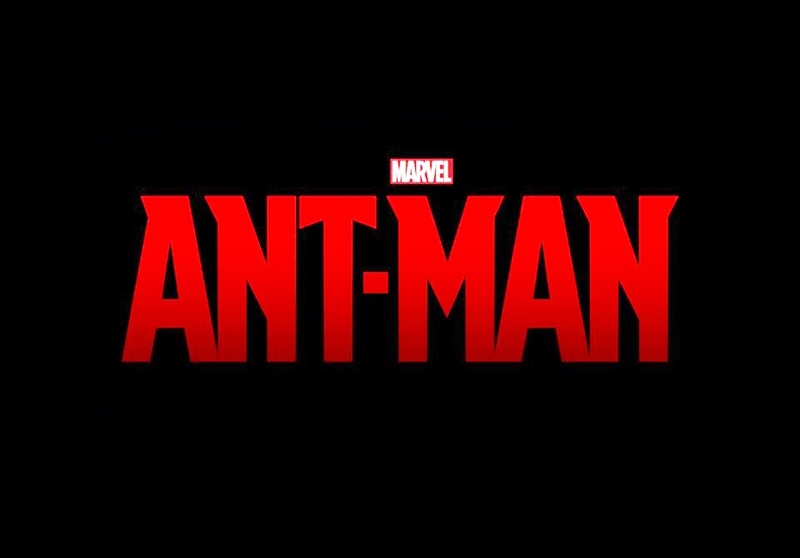 Will he be playing Henry Pym or the Scott Lang Ant - Man? Here is what Marvels Kevin Feige had to say about the casting of Paul Rudd. The movie is scheduled to come out July 31st 2015 in a year that looks to be heavy in geek films. Haunted houses have been a pretty good plot device for scary and horror movies for a long time. You just have to go back to last year for the “The Woman in Black” with Daniel Radcliffe as proof to how well popular and if done properly can be pretty scary and very enjoyable to watch. Doctor Who has dabbled with using haunted houses with 1989’s “Ghost Light.” While not a true haunted house story it was pretty effective in conveying the horror of the house and the evil the resided in it. 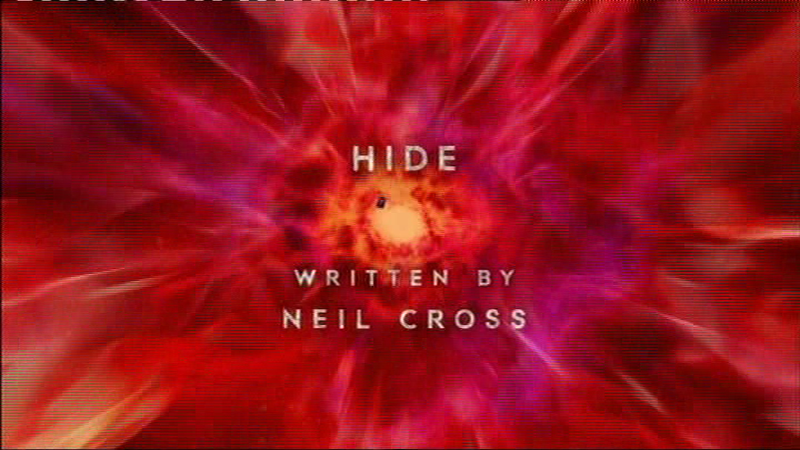 So know we have “Hide” and the return to a haunted house style of a story that is rare in Doctor Who. Did “Hide” do the ghost story genre proud or did it fizzle like candles often do in a haunted house. Read on to see what I thought of “Hide”. First off I wasn’t too enamored with Neil Cross’s earlier story ‘The Rings of Akhaten. So I went into “Hide” with a bit of trepidation and hoped I would enjoy his new story. Well for the most part I did enjoy the Luthor scribes latest entry. For the most part it was pretty entertaining and I did enjoy what “Hide” was trying to accomplish. But I wasn’t overly a fan of it but I did not hate it as I did for the most part enjoy what I was watching. Doctor Who Superfan and Episode Hunter Ian Levine has recovered some Doctor Who episodes in Taiwan. He was hoping that it was stuff that was missing like The Space Pirates bu it ended up being episodes that have already been recovered. 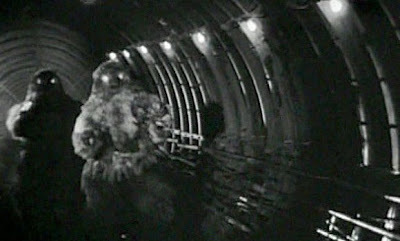 What he found was all from Patrick Troughton's last season which aired in 1969. 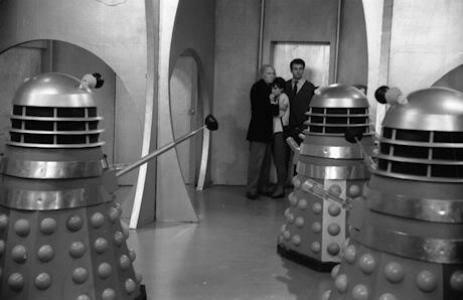 The stories from season six that he found was The Dominators 2 and 3, The Seeds Of Death 2, and The War Games 1 and 2. What makes this discovery unique was that they were sold to the American Forces Television during the Vietnam War. This information has never been reported before in any of the publications on missing episodes and hopefully this is a new avenue in which missing episodes of Doctor Who or any other British program can be found. So lets stay hopeful that Ian Levine or any other episode hunter can find some missing episodes. Plus a big thank you to Ian Levine for his continued effort in trying to recover missing episodes of Doctor Who. The hunt goes on. I have found five 16mm Dr Who film prints in Taiwan, but it's 2 eps of Dominators, 2 of War Games, and one Seeds Of Death. 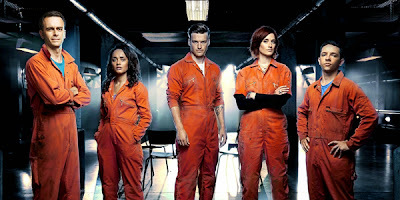 Initial Thoughts -I have followed this show for 5 years and have to admit that I have not been that keen on the most recent cast. With that said, this show always seems to find its way and eventually produces some incredible seasons. The show is rough and very adult and can be obnoxious. The characters are often horrible at times but somehow you grow to like them and by the end. The fourth season was not my favorite and the gradual cast change had something to do with it. 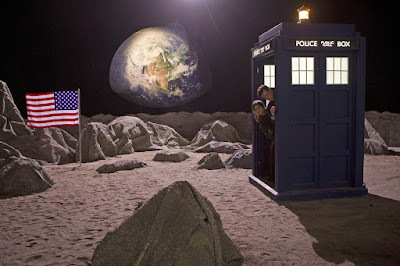 Doctor Who - DVD Details For "The Moonbase"
Doctor Who - Let The Peter Capaldi Era Begin!!! Trailer For The New SyFy Show "Helix"
Don't Blink..... Real Life Weeping Angel? Comic Books - Dark Horse Announces HELLBOY DAY!